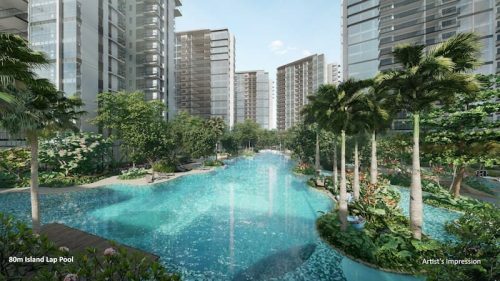 13 April 2017, Singapore – ARTRA, the fifth and possibly the second last major private non-landed residential development to be launched in the first half of 2017, is set to be unveiled to the public on 29th April 2017. It will be the 2nd city fringe project and also the 2nd mixed use development to be launched this year after Park Place Residences. 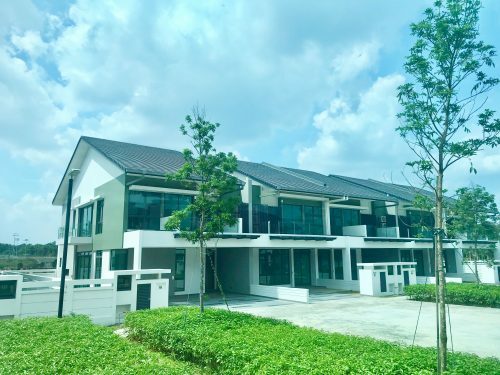 Developed by FEC Skyline Pte Ltd (aka Tang Skyline Pte Ltd), ARTRA is located along Alexandra View and sits on a 99-year leasehold site with a land area of 442,970sq ft. It will offer a total of 400 residential units, comprising spacious and regular-shaped 2-, 3- and 5-bedroom units. 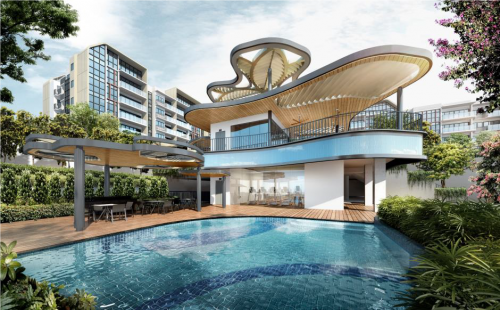 The property boasts a full-sized swimming pool, tennis court, gym, function rooms, retail shops, food and beverage outlets, as well as a childcare centre. Nestled within the Alexandra / Redhill residential enclave, ARTRA is in close proximity to amenities such as shopping centres, schools, a sports complex and transport nodes. Located in the city fringe, the project is minutes away from the Central Business District (CBD) and is well-connected to the other business clusters, including the one-north business cluster, Alexandra Precinct and Jurong Lake District – earmarked as Singapore’s second Central Business District. Renowned educational institutions are also located in the vicinity, such as CHIJ (Kellock) Primary, Crescent Girls Secondary, Singapore Polytechnic, the National University of Singapore (NUS), as well as international schools such as ISS International School and Global Indian International School. 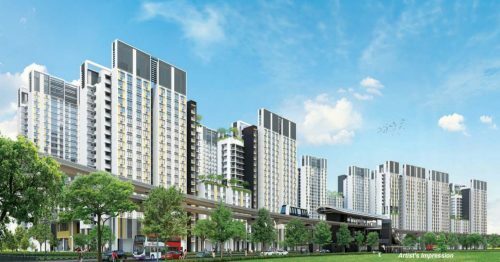 The 50per cent sales result of Park Place Residences @ PLQ marks the 3rd positive outcome for new private non-landed projects launched in 2017. Indeed, sales achieved and the high average selling prices of Park Place Residences provide further signs that well-located, attractively designed and appropriately specified projects are highly sought after. It also lends additional evidence to the view that the private residential market is in recovery mode. Based on caveats recorded by REALIS, the total number of private non-landed residential new sales reached 2,943 units in Q1 2017, reflecting an increase of 1,595 units sold as compared to Q1 2016. The year 2016 witnessed 7,972 new sale transactions, 7.2 per cent higher than that seen in 2015 (7,440 units). With Seaside Residences set to be formally launched next weekend and ARTRA the following weekend, the reaction to these projects will be highly anticipated as a guide to what will happen next, and whether the market is well and truly on the path of recovery. The developer of ARTRA, FEC Skyline, is confident that the project will be warmly welcomed by potential home buyers looking for an upgrade in living experience. The showflat of ARTRA, located along Prince Philip Ave, will be open to the public on 15th April 2017. Interested home owners will have the opportunity to view the show units and express their interest via the various appointed marketing agencies, Knight Frank, Savills and PropNex Realty. Official sales for ARTRA is anticipated to commence on 29th April 2017. Knight Frank LLP is the leading independent global property consultancy. Headquartered in London, Knight Frank has more than 14,000 people operating from 413 offices across 60 countries. The Group advises clients ranging from individual owners and buyers to major developers, investors and corporate tenants. Knight Frank has a strong presence in Singapore with a head office and two subsidiaries; Knight Frank Property Asset Management and KF Property Network. For further information about the Company, please visit www.knightfrank.com.sg. FEC Skyline is a 70:30 joint venture between Far East Consortium and New World Development. A subsidiary of Far East Consortium International, the firm is a leading regional conglomerate with property development in Singapore, Mainland China, Hong Kong, Malaysia, Australia, New Zealand and the United Kingdom. Both companies are publicly listed on the main board of the Hong Kong Stock Exchange and has over 40 years of experience operating in Asia Pacific. Far East Consortium is recognised as one of the Asia Pacific’s leading land and property developer, and has the regional and local knowledge and expertise to develop and deliver residences according to the needs of the communities. Some of the track records of Far East Consortium include Dorsett Residences (Singapore), Dorsett Residences (Malaysia), Aspen Crest (Hong Kong), Alpha Square (London), Kings Manor (Shanghai) and Queen’s Wharf (Brisbane). Far East Consortium is also the developer of the $2.6 billion West Side Place project in Melbourne Australia, which accommodates more than 2600 residential units across 4 striking towers – when completed, the building will set a record as Australia’s tallest hotel.